I love to give personalized gifts to my children because the excitement on their faces when they open a special gift is priceless. Earlier this year, my son received a personalized, custom kids’ book from Lookio Books titled, When Adam Grows Up ($32) and he loves it! This 8” x 10” hardcover book features my son’s face throughout the book as he explores a wide variety of occupations such as being an astronaut, a deep sea explorer, professional snow boarder and many more. I customized it with his name as well as a special section where I could write a dedication to him. 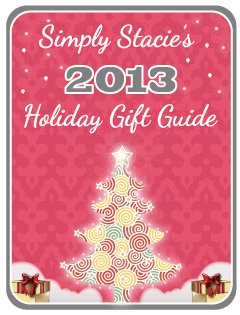 You can read my full Simply Stacie Lookio Books review to learn more about this title as it is a wonderful gift idea for any special boy or girl. 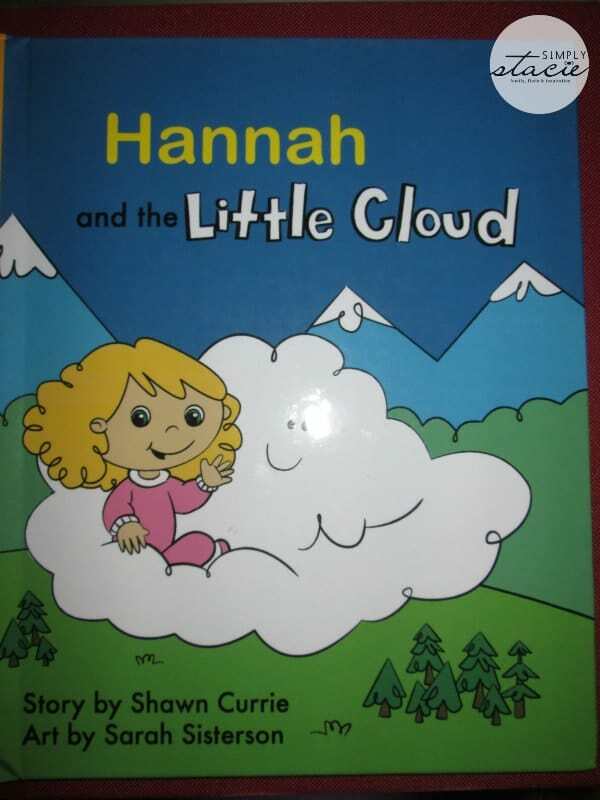 I recently received a new Lookio book for my daughter called Hannah and the Little Cloud ($32) written by Shawn Currie and with art illustrations by Sarah Sisterson. This customizable story features the option to personalize the name, gender, hair color, skin tone, eye color and even pajama color. The quality of the printed book is excellent (my husband affirms this and he has been a printing press operator for over 23 years) with full color art on glossy paper and a glossy laminated cover that is designed to withstand many readings. The story line was fun and engaging and my early reader, Hannah loved reading this book aloud to her younger brother. She has read this story over and over again and thinks it is so neat that she is featured throughout the book. If you are looking for a memorable gift idea this holiday season that is sure to be treasured by a lucky young child then I highly recommend a personalized children’s book from Lookio Books. You can choose from Illustrated Character Books including (Name) and the Little Cloud and (Name) and the Rickety Robot or you can choose the Photo Character Book, When (Name) Grows Up. Connect with Lookio Books on Facebook, Twitter and Pinterest. Your review is great. Personalized books are wonderful for the little ones.I would imagine that these would become keepsakes-if the child didn’t wear the book out! Marvellous books. I especially like the art illustrations, to me they are what make a book great for children. I also like the fact that they are personalised too, children get a real kick out of that. Of course I’d heard of children’s names being put into books but this is the first time I’ve heard of them actually putting the child’s picture in. What a great idea. What a neat gift idea! I’ve never thought of a customizable book before. I’m going to check out Lookio Books, as this would be perfect for my niece who’s really into reading now! I love customizable books, always a big hit with anyone! I did one of these types of books for my son Tyler when he was little… it remains today as a special book! Great review! My three year old loves books. Having one personalized for him would be wonderful. He would be so excited! What a wonderful gift idea! How cute! Kids love things that are about them. Often thinking the world revolves around them, seeing themselves in pictures and their name in a book would really hold their interest and bring them delight. Personalized gifts are fun all around but really make kids feel special. That is so cute. We have a cuple games like that on our iPad where you put your child’s picture in the book, my son loved it. Great idea for a real book!! What a awesome book idea. I happen to know a few little girls who would love these stories! My daughter has a few personalized books and she loves seeing her name. That is so cute. Great idea for a real book! !